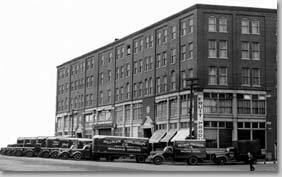 Baxter Place was built in 1903 by Milliken-Tomlinson Co., a wholesale grocery company. Porteous purchased the building in 1975 for use as a warehouse. In 1987, Baxter Place was renovated into residential apartments and retail spaces. Answers to the most often asked questions. Floor plans for each unit are made available here.